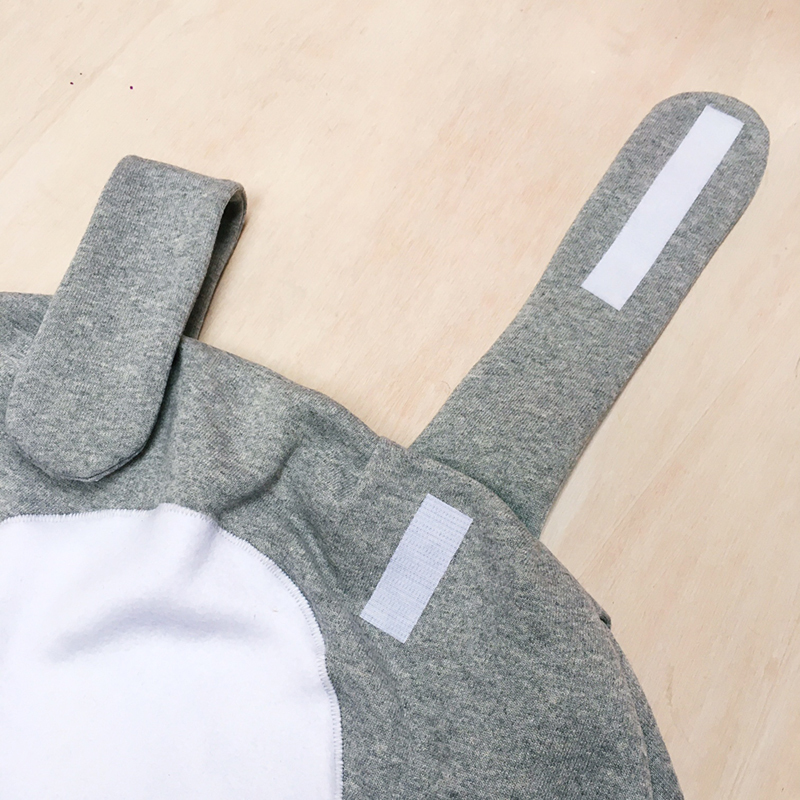 The first step of making this DIY Easter bunny costume is working out the measurements for the dress (just a heads up – the difficulty level for this costume is intermediate to difficult). 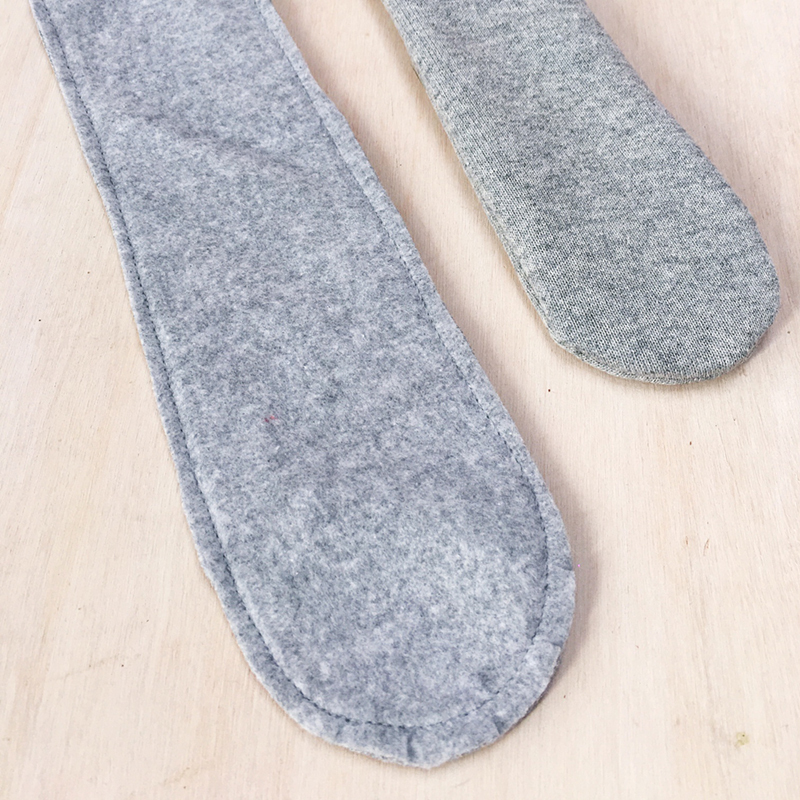 First measure your child around their chest just below their armpits divide this measurement in half and add 2 inches to allow for seam allowance, this is measurement A. Add another 10cm for the width of the bottom of the dress this is measurement B. Also measure the length from the middle of their chest to where you would like the dress to finish approx. mid-thigh, this is measurement C. On a piece of paper draw a shape using these measurements. Curve the top of the shape down at each side so it looks like the one in the diagram below. Use the same measurements as before but add 6 inches to measurement A, 4 inches to B and 12.5 inches to C. Draw another template piece that looks like the diagram. Now to make the straps of your Easter rabbit costume. 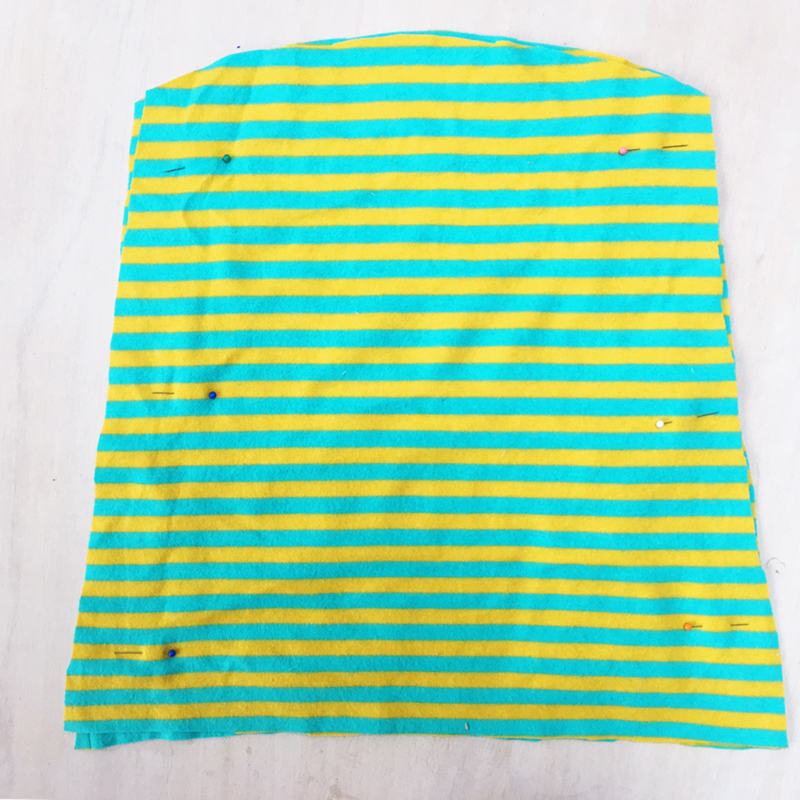 Hold the inner dress pattern piece up to your child and then measure how long the straps need to be to overlap the front and the back of the dress by roughly 2 inches. Cut a template pic that is this measurement by 7cm. Using the templates cut out 2 inner dress pieces, 2 outer dress pieces, 4-star pieces and finally an oval bunny tummy approximately 11 x 8 inches. Machine sew the strap together leaving the small straight edge unsewn. 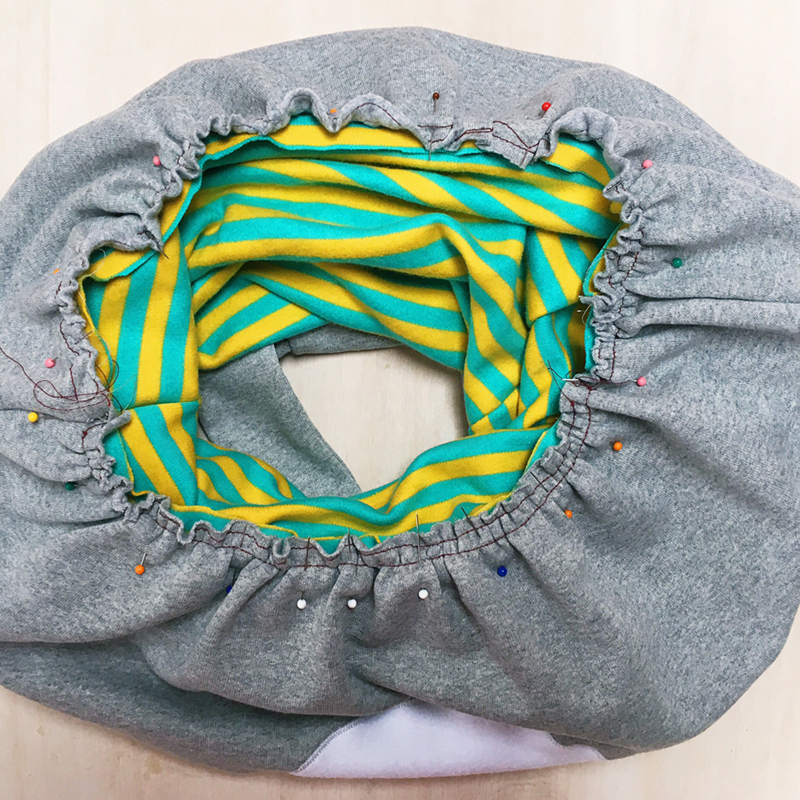 After sewing carefully trim away any excess material and snip a few notches around the curve. Then turn right side out, press and repeat with the other strap. The next step is making the inner part of the dress. Pin the two lining pieces right sides together down each side. 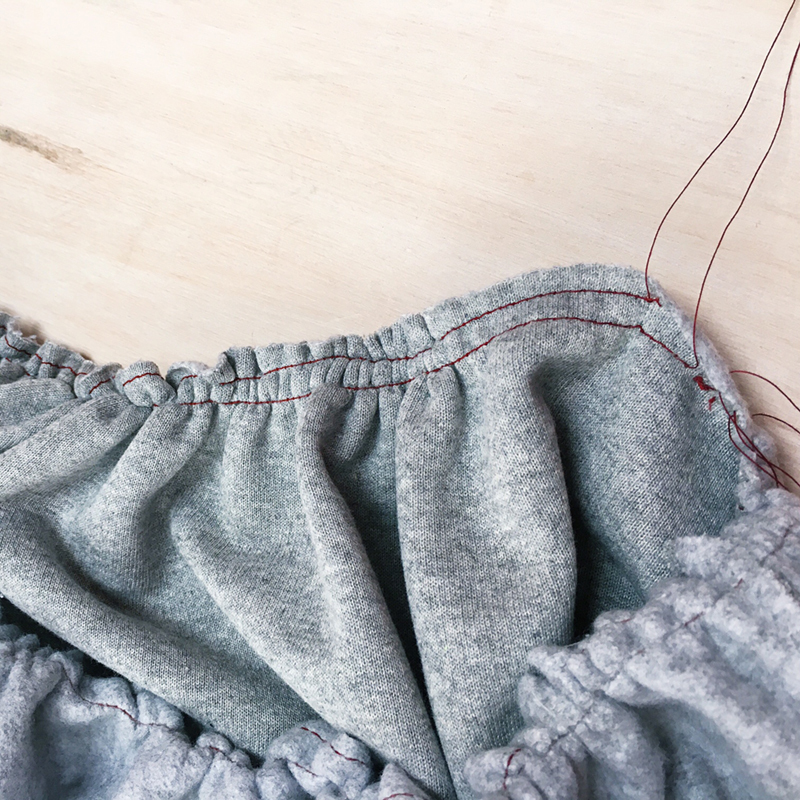 Machine sew together then trim away any excess fabric. Now make the outer part of the dress. 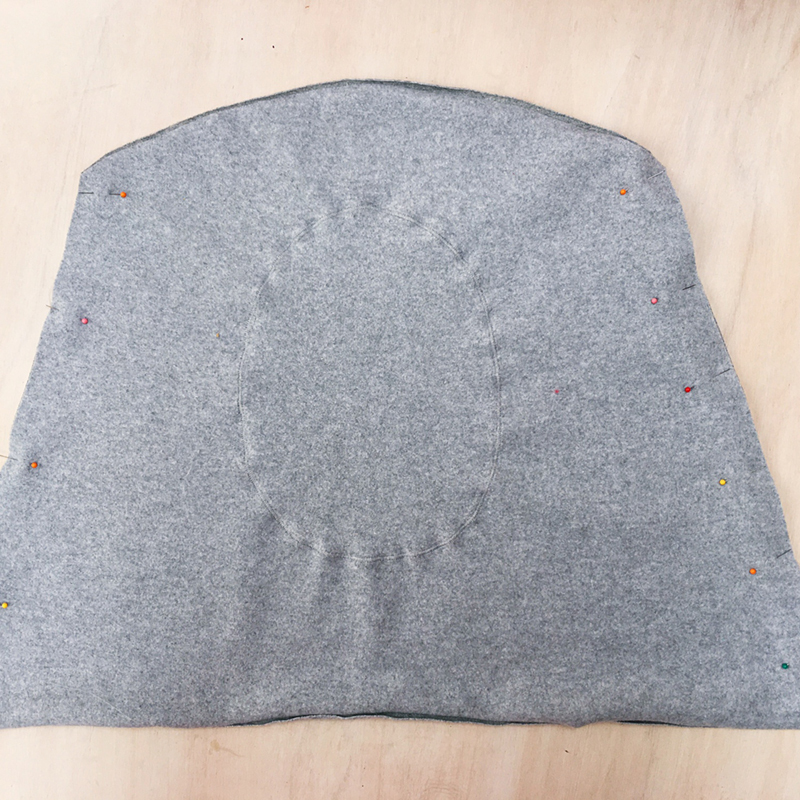 Pin the tummy piece to the middle of one piece of the grey fabric. 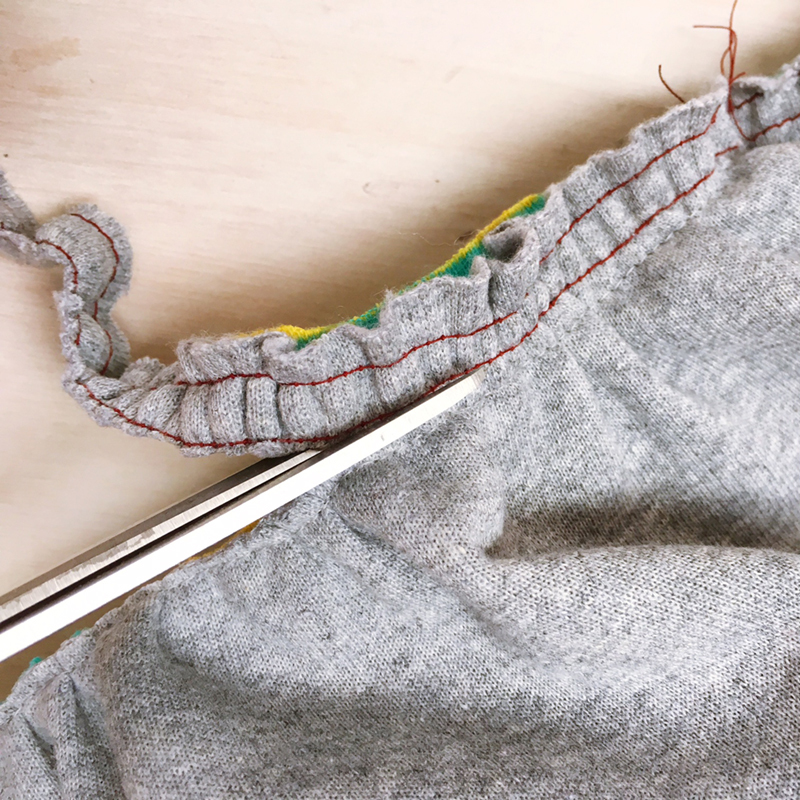 Use a zigzag stitch to machine sew the tummy in place. Take the two dress outer pieces and place right sides together, pin along the two side edges then sew. 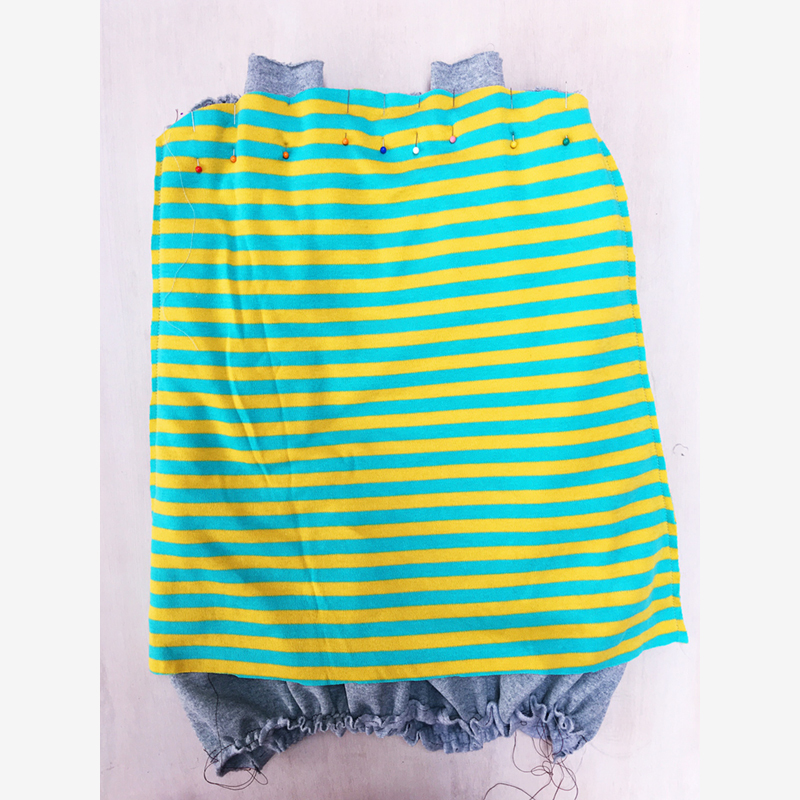 Now you need to gather the outer dress. Keeping the outer dress right sides facing sew all around its top edge two parallel rows of stitching about 0.2 inches and 0.6 inches in from the edge. 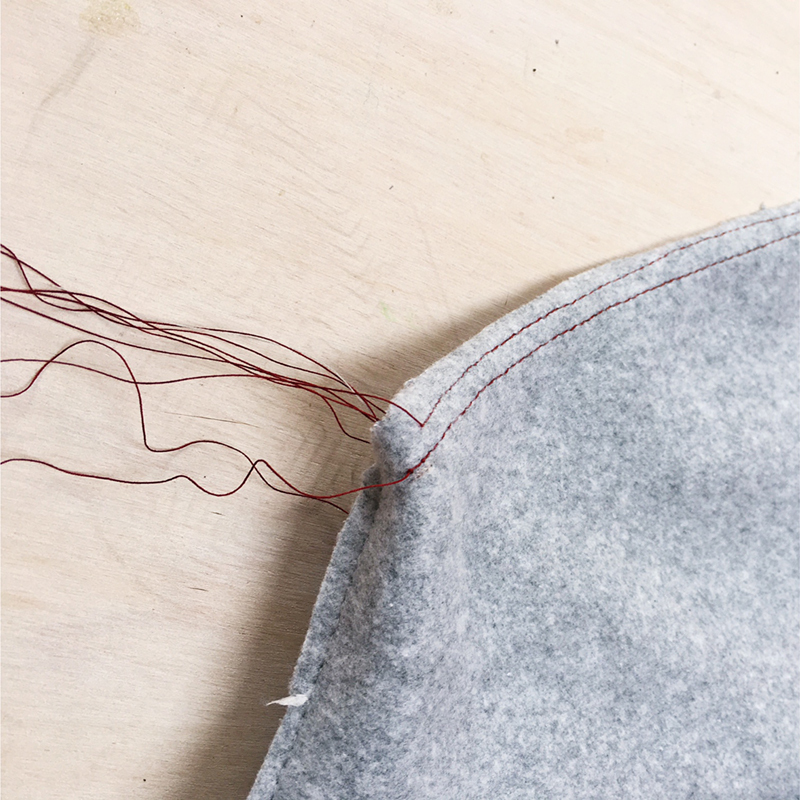 If you have it use a stronger thread, set your machine to its longest stitch length and don’t backstitch at the beginning and ends. Leave long lengths of thread at each end. Repeat around the base of the dress. At the top of the dress take one of the threads from one of the rows of stitching and pull gently, the stitches should start to gather up, keep going till the top of the outer dress is as wide as the top of the inner dress and the gathers are even. Repeat with the lower row of stitches. NB: You can do this with just one row of stitches but the second row stabilize the gather and helps keep it in place. Repeat with the two rows of stitching around the base of the dress, gathering the fabric tilt is as wide as the base of the inner dress. 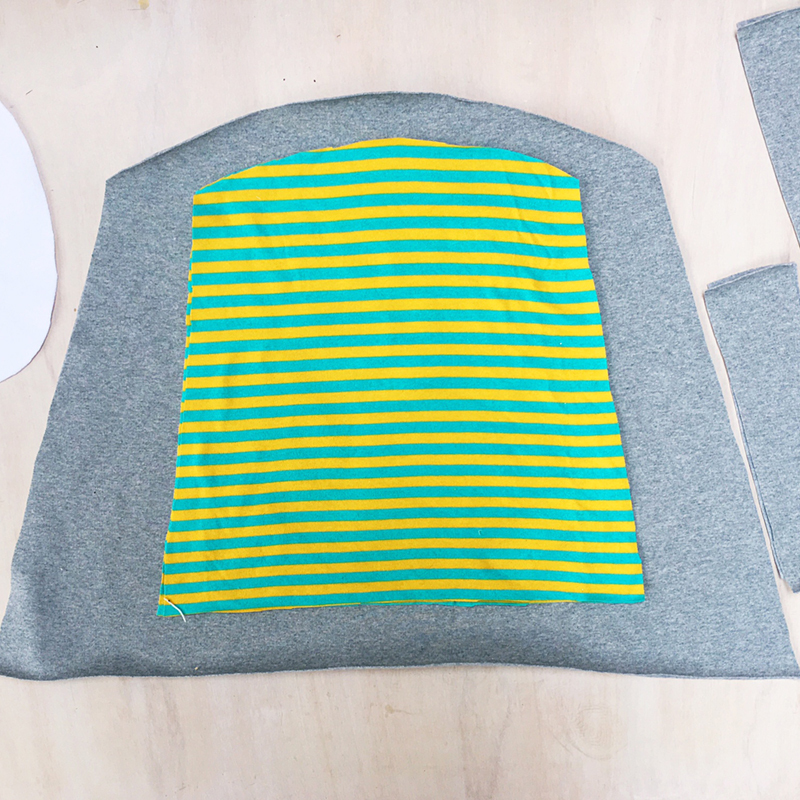 Place the outer dress (still right sides facing) tummy down onto a flat surface. Take the two straps and place them on to the dress so the curved ends are facing down the dress towards the bottom hem. Place them approximately 10cm apart from the middle (this is a good time to try the dress on your child to make sure the straps are in the right place.) Make sure about 2cm of fabric is sticking up beyond the top of the dress, then pin in place. Carefully insert the outer dress into the inner dress lining the side seams up. Also, line up the inner and outer dress top edges all around and then pin in place. Machine sew around the top of the dress, sew approximately 1 inch down from the edge of the fabric so you sew beyond the two rows of gathering stitches. Keeping right sides facing trim away any excess fabric. Turn the dress right sides out (the two straps will pop out!) and then manipulate the fabric till the inner dress is inside the outer dress, line up the top edge so you can’t really see the inner dress. Press with an iron to keep this edge crisp. At the bottom of the dress begin pinning the edge of the inner dress to the edge of the outer dress – remember the outer dress is longer than the inner dress so you will be pulling the inner dress down slightly to line the two edges up. Pin around the whole dress. Then machine sew. Again sew approx. 1 inch in from the edge of the dress so you avoid the double row of gathered stitching. Carefully cut away all this excess material. You will notice that you have a raw seam edge on the right side of the dress, but as this will be hidden by the excess outer dress material it’s not too much of a problem. 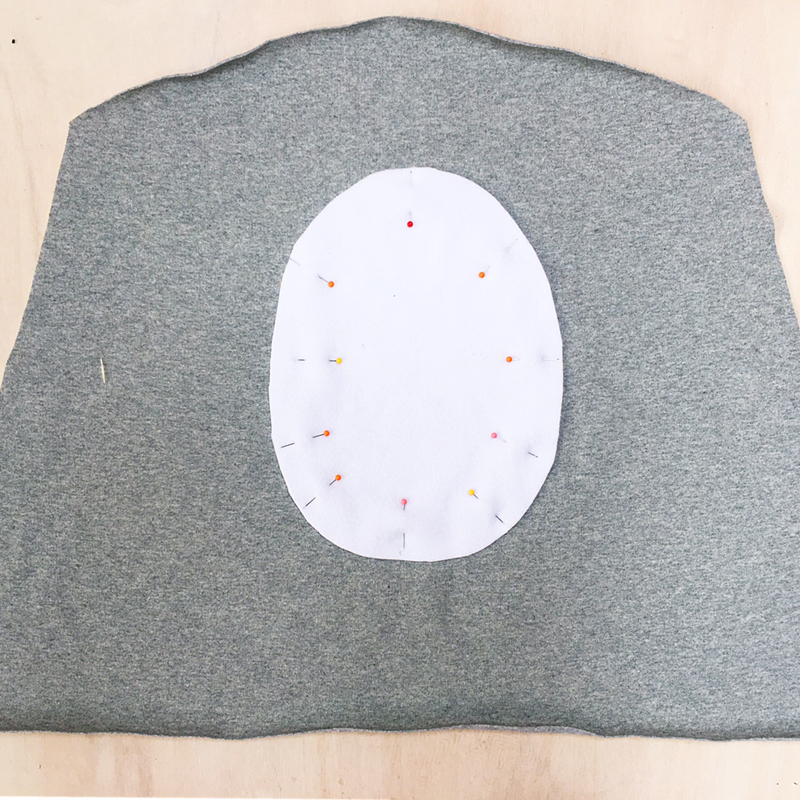 Once again manipulate the fabric so the top edges of the dress are aligned, the bottom of the dress will now be pulled up by the inner dress and the puffball effect will be created. 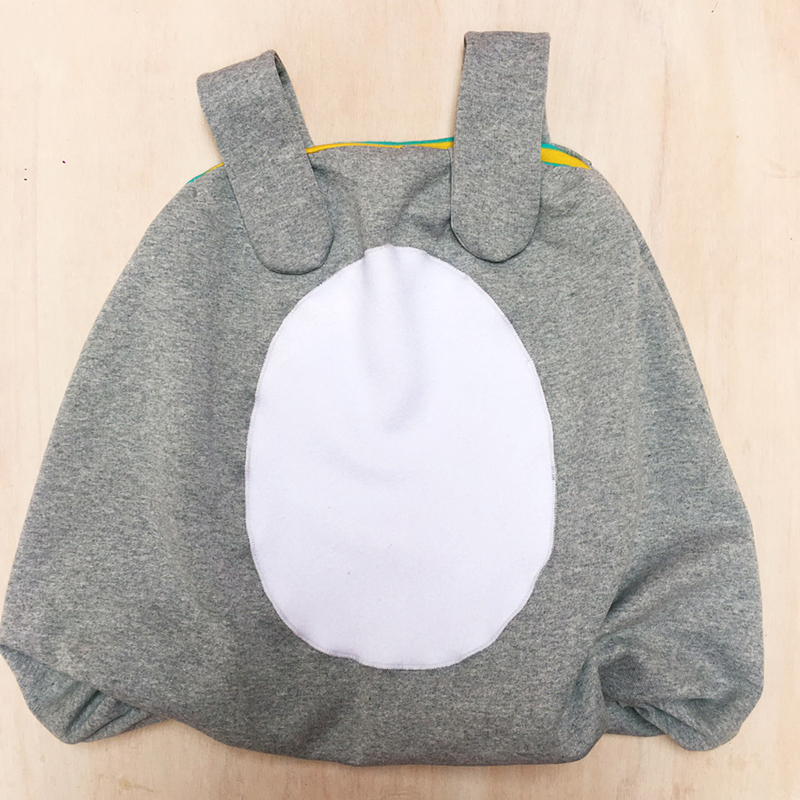 Now your DIY Easter bunny outfit is taking shape, all that’s left to do is make a fluffy tail! 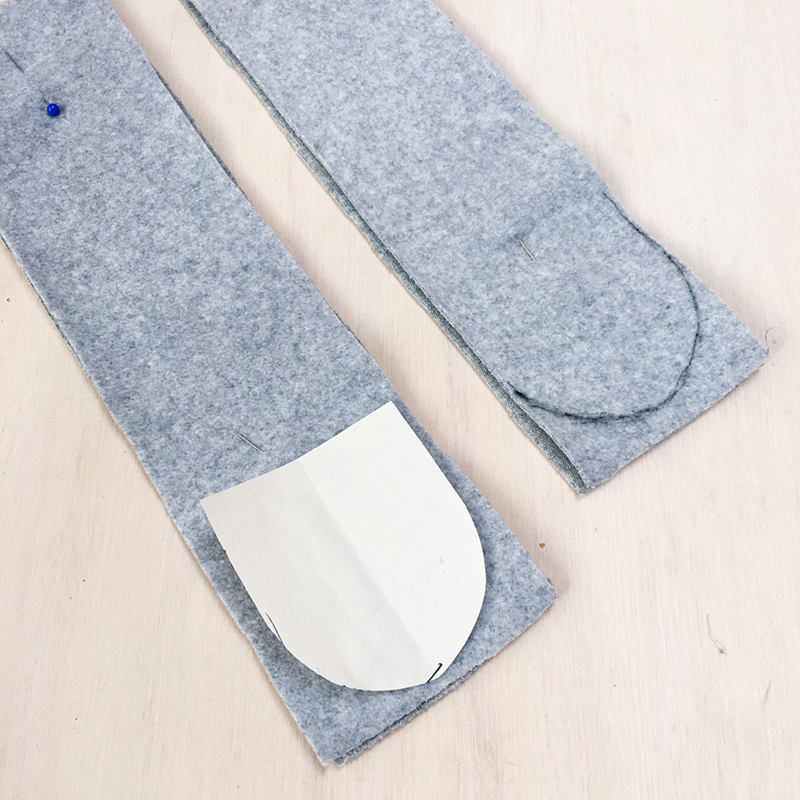 Using VELCRO® Brand Fabric Tape to join the tail to the dress means it can be removed if it’s a bit uncomfortable when sitting down! 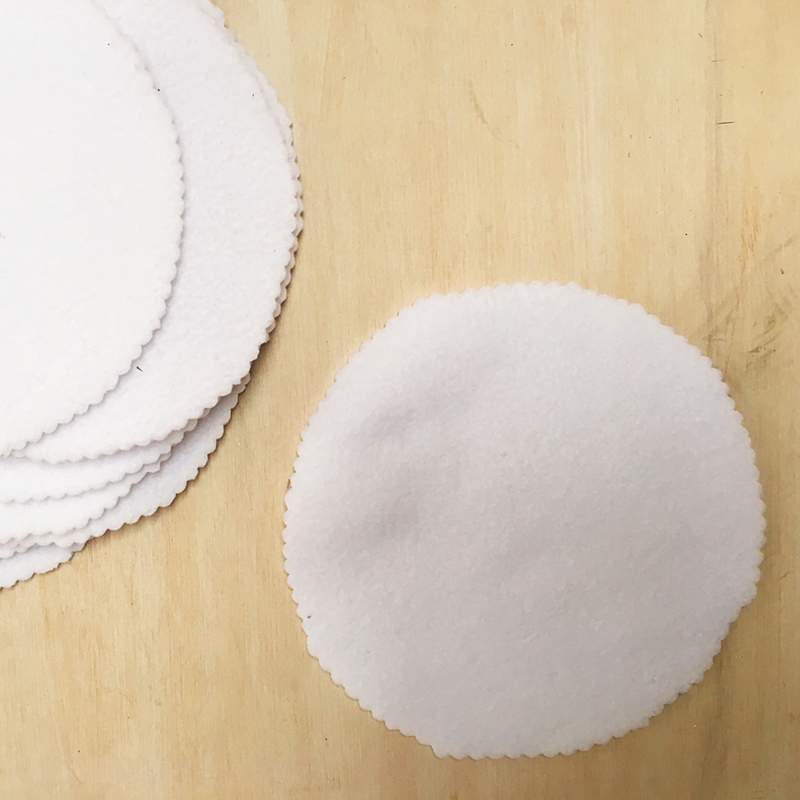 Cut 10 circles of white fleece approximately 5.5 inches in diameter. 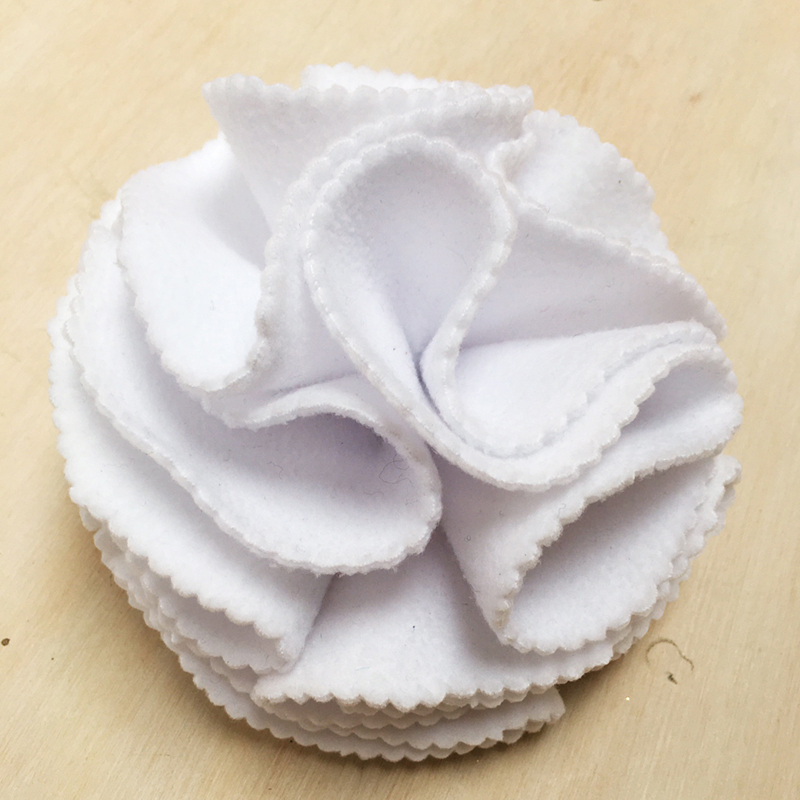 Fold each circle into quarters and either machine or hand sew a couple of stitches at the point of each circle to hold the layers in place. 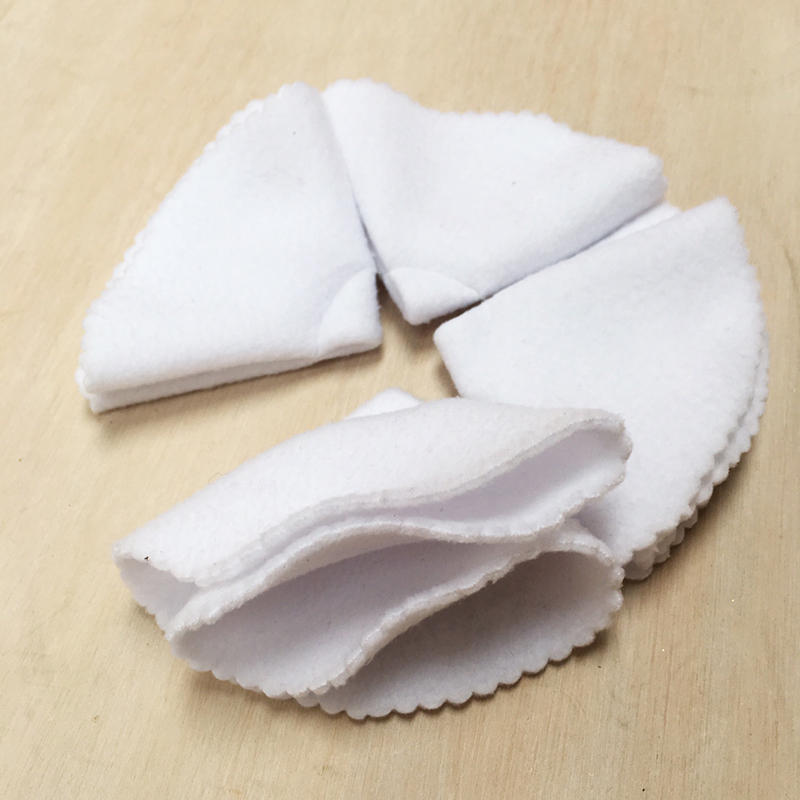 Place 4 of the folded circles together to form a circle. Hand stitch these together. Repeat with 4 more circles then place one set on top of another and sew in place. 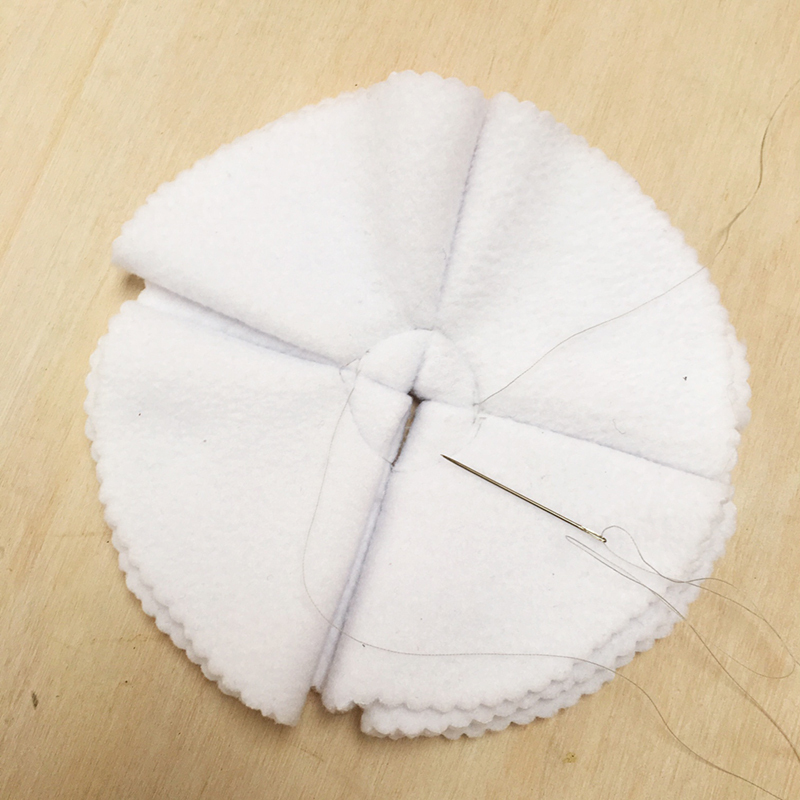 Take the final two folded circles and sew to the top of the stack, open each circle out a little to create a nice fluffy tail. 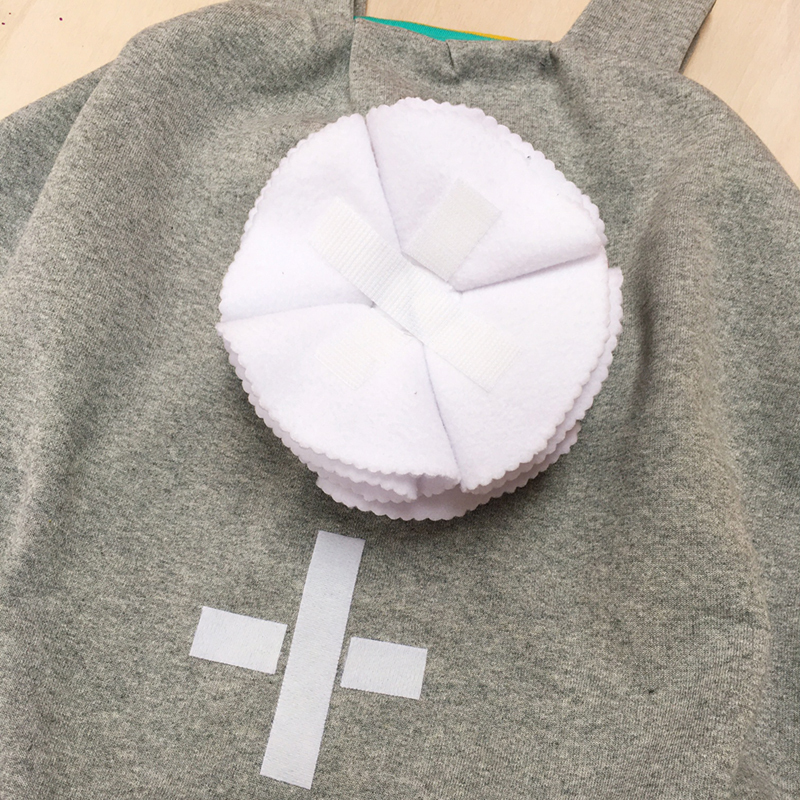 Place a cross of VELCRO® Brand Fabric Tape onto the back of the tail and the loop side to the back of the dress, then fix the two together. And that’s it! 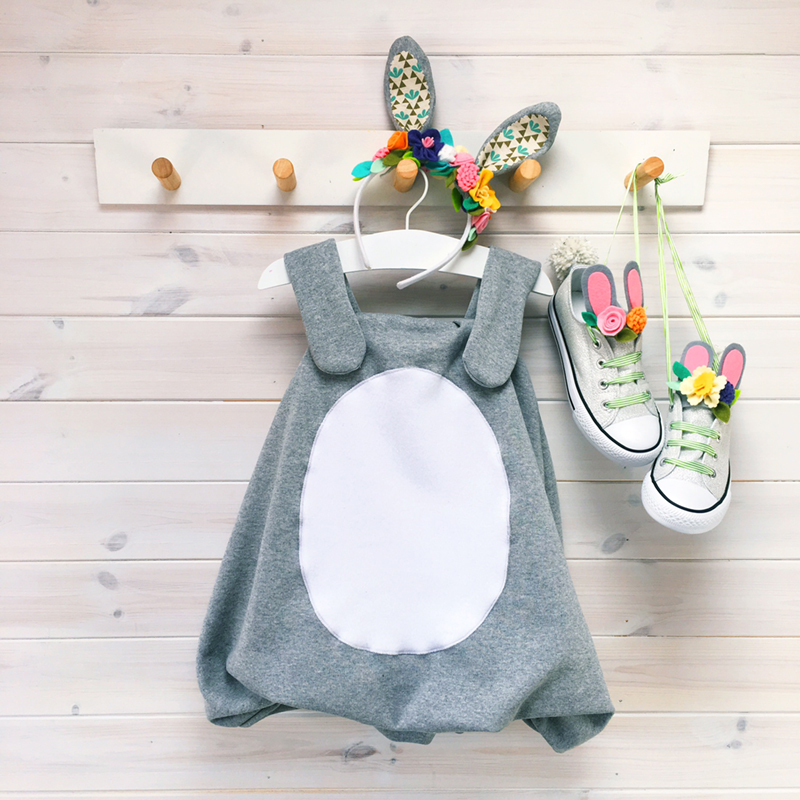 Your DIY Easter bunny costume is finished and ready for your little one to wear to all your springtime celebrations! Try it for yourself! 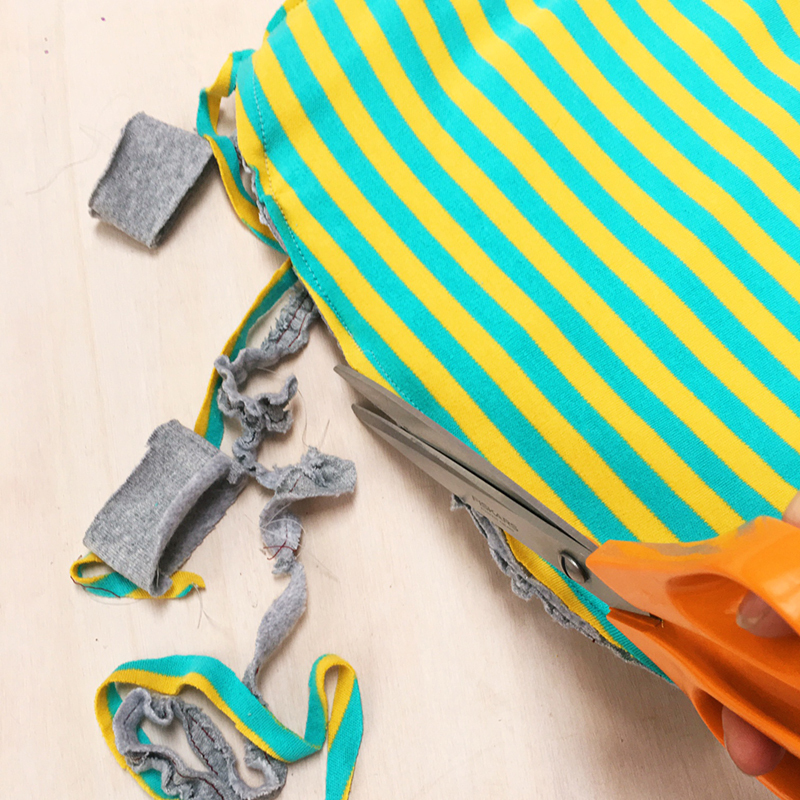 Shop our VELCRO® Brand Fabric Tape or stay on our blog for more crafty ways to use hook and loop fasteners!